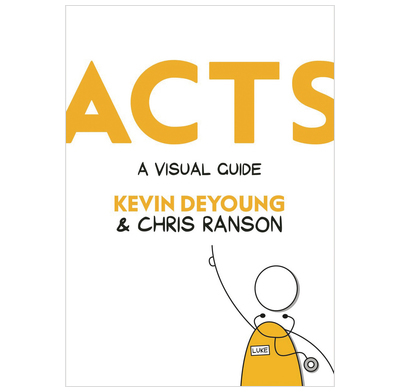 Designed to be read with your Bible open next to you, or while listening to Kevin DeYoung’s messages, the illustrations become a handbook, helping to unpack and dig deeper into Scripture. Each page shows the progression of the verses and their implications, applying the truths to how we live our lives. The format also lends itself well to the intertwining nature of the Bible, incorporating cross–references to other passages, helping you to open up the Word for yourself and weave the message into the context of the whole Bible. The clue is in the name: this is foremost a guide and companion. It is designed to be read with your Bible open next to you, or whilst listening to the Kevin DeYoung talks. The message is found in Scripture, while the illustrations become a handbook, helping to unpack and dig deeper into that message. Each page shows the progression of the verses and their implications, applying the truths to how we live our lives. The format lends itself well to the intertwining nature of the Bible, demonstrating connections which a written commentary might find cumbersome to explain. The notes also incorporate cross–references to other verses and passages from the Bible, helping you to open up the Word for yourself and weave the message into the context of the whole Bible. This is Acts as you’ve never experienced it before!